1991 Cougar LS. 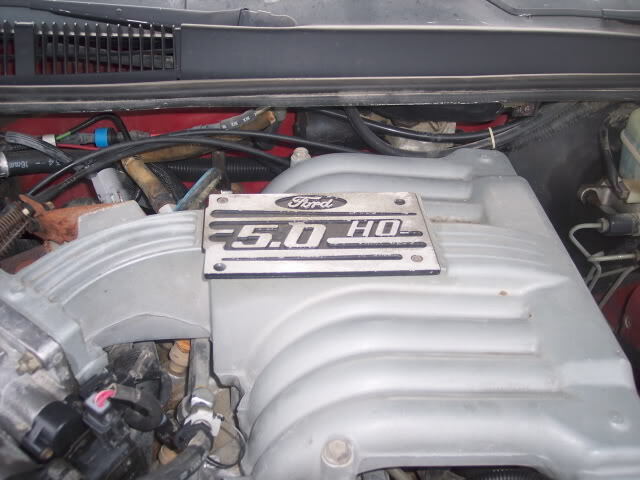 5.0 HO. But the people I talk to around here say they never made that car. 8th digit in the SER# is A T. The pic's say the rest. Just some info for you they did infact make the ls cougar with the 5.0 option i have had a few there isn't much difference i can notice between the ls and the xr7 but having owned both they do handle different the xr7 had way better handling and performance the 5.0 cougar's usually have 4 wheel disc although some of the ls's did come with them too,and the xr7 5.0 usually have posi rear end with an 8.8 ring gear.hopefully this helps you a little bit. 2003,2004 cobra rims. will they fit?